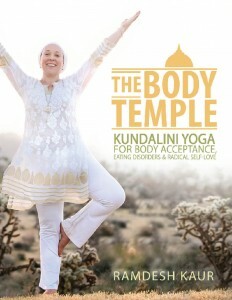 Have you read Ramdesh’s new book, The Body Temple: Kundalini Yoga for Body Acceptance, Eating Disorders and Radical Self-Love? On this podcast she shares her own experiences with eating disorders, and helps us learn how to overcome self-loathing and negative thoughts about our bodies. Tune in and share in her positive, healing light! Ramdesh opens her heart and reveals the experience of facing various eating disorders. For her to heal and move on she had to let go of shame and become both courageous and vulnerable. 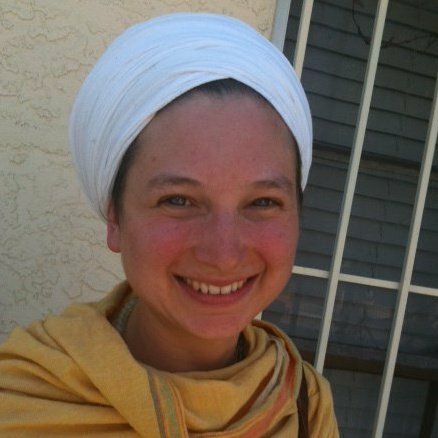 She has drawn deeply upon the teachings of Kundalini yoga to heal herself and to guide others. The book is not just for people with eating disorders, however, but for anyone with a negative body image, which is as much as 80 to 90 percent of women. Eating disorders have the highest mortality rate of any mental illness, Ramdesh notes, but body image disorders have the highest mortality rate to your destiny. Any time we’re unkind to our physical body we shrink our aura and our light, she says. The aura is the magnetic field, the magnetizing, attractive energy field around each one of us. This shrinks with each negative thought, so imagine how much it shrinks if negativity toward the body is a habit! This journey won’t begin or end in a day; it’s a lifetime’s work, Ramdesh points out. But every experience–even something as simple as washing your hair—is an opportunity to send love to yourself. A critical point she wants to birth to the world is the difference between pretty and beautiful. Pretty is society’s idea of what we should look like; it’s a sales tool that makes us feel less than we are in order to encourage us to buy products. This external idea of pretty leads to feelings of self-doubt and self-loathing, because we can never be pretty enough. 80 percent of ten-year-old girls are afraid of being fat—they feel rejected, unloved, not cool and not accepted. Then there is beauty—which comes from God, from the Infinite, and which exists in the wind, the sunset, a rose, and in your heart! Beauty is so many things, like kindness and grace, and it exists in everyone, Ramdesh notes. “Each one of us is beautiful,” she says. Yogi Bhajan said, “You don’t need the beauty, you are the beauty.” Makeup, clothes, etc. won’t make you beautiful; you already have the beauty because it is the core of who you are, your truth, your Sat Nam. It’s critical, Ramdesh says, that we teach this lesson to the next generation. There are many songs and mantras that have inspired Ramdesh on her journey. The first one she shares is “The Beauty We Hide” from Thomas Barquee. No more hiding—shine your light! Kundalini yoga is very much the warrior path, and it helps us to face our addictions and our restlessness. The path of Kundalini yoga helps us find beauty, power, and victory. 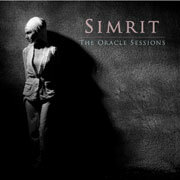 Next up is a song that really speaks to the journey of the warrior; it’s called “Love Knows” by Simrit, from The Oracle Sessions. Then fill up with spirit, and listen to Shimshai’s “All That I Am” from I Sense Your Presence. Next, feel how “Bountiful, Blissful, Beautiful” the body temple is as you listen to this track by Siri Sadhana Kaur from Alokas Grace. Find out more at spiritvoyage.com/bodytemple where you can download free meditations for eating disorders, order Ramdesh’s extraordinary book (which includes mantras, meditations, kriyas, and even recipes!) and travel with her on the healing path of radical self-love and transformation. Tina Malia on Spirit Voyage Radio with Ramdesh!